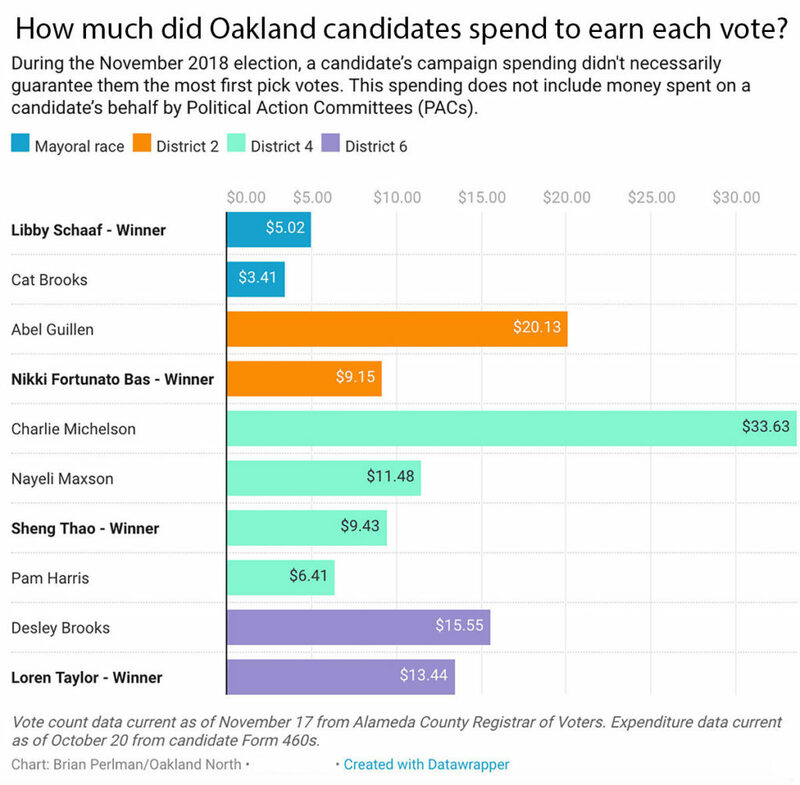 Over $6 million: That’s how much money flowed into the war chests of Oakland candidates and PACs in the November election for mayor and city council seats. Unofficial results show Schaaf wins re-election, and newcomers to join city council. Spending limits in two district races have been lifted after union-funded PACs dumped over $80,000 in the District 2 and 4 races. See who they’re spending it towards and where other candidates are getting their money from. During the City Council meeting, the council members discussed Oakland’s shelter crisis, the federal legislation of California firearms laws and the state of the city address. At a meeting of the Oakland City Council’s public safety committee Tuesday night, Oakland Police Chief Sean Whent pointed to a “very significant” reduction in uses of force by police. He said new policies, training and body cameras all contributed to the reduction. Oakland’s hired the crime consultants and approved the $250,000 bill, setting in motion the plan to bring in six law enforcement experts—including former Los Angeles top cop William Bratton—as the city’s latest attempt to curb its rising violent crime rate. During a heated meeting Tuesday night, Oakland City Council members approved two new plans to address the city’s foreclosure crisis in Oakland, and also accepted with mixed reactions a lengthy police department report about crime reduction plans for the city. The City of Oakland should find a way to get out of its interest rate swap agreement with Goldman Sachs, a deal that costs the city $4 million annually, according to a city staff report. The problem before the city council now is figuring out the best way to do that without costing the city more money. The Oakland City Council voted Tuesday night to keep a teen center open, while agreeing to the let the city take control of the center from Councilmember Desley Brooks (District 6), who had helped to establish and run it using funds from her own office. The council also unanimously approved a $3.5 million package to develop hotels, a conference center, a new stadium, and a shopping center in a 750-acre area around the Coliseum in an effort to entice the Raiders, Warriors and A’s to stay in Oakland. Violence prevention programs funded by Measure Y are working, according to a report presented at the Oakland City Council meeting on Tuesday night. But not well enough, councilmembers and speakers from the public responded. The Oakland City Council approved new requirements Tuesday night that would grant local businesses exclusive rights to demolition and remediation contracts for the Oakland Army Base redevelopent project.